Spanning three decades, the Skifest is considered the premiere network televised celebrity ski weekend, as stars from Television, Film and the Olympic Games come to Deer Valley each December for a magical experience and to raise money for a good cause. The Skifest includes the head-to-head Celebrity Ski Challenge — with teams captained by the U.S. Olympic Ski team greats — plus the entertaining off-the-hill celebrity antics, parties, charity auction, benefit concert and all the Deer Valley "magic." 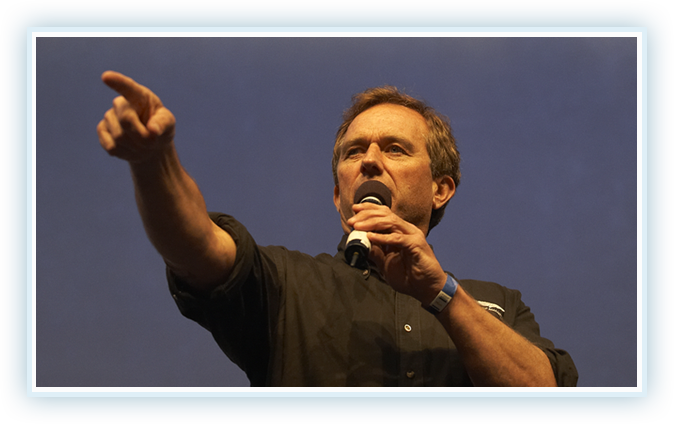 WaterKeeper Alliance connects, supports, and champions clean-water programs for waterways and their communities worldwide. With nearly 200 local Waterkeeper programs and more to come, the grassroots organization is dedicated to protecting the planet’s water from pollution. "There is no more important human right than the right to clean water. The law is strong. Pollution is theft. But law enforcement is weak. Citizens must exercise our rights as owners and stewards of the environment. On waterways around the world, Waterkeepers take ownership – patrolling our waterways and protecting our communities." Deer Valley Resort has been the host of the Celebrity Skifest broadcast on CBS for 26 years. The success of the event is due in large part to the relationships that have been developed both professionally and personally, and matched only by the quality of the event, its charity, celebrities, athletes, the CBS network and of course Deer Valley Resort. 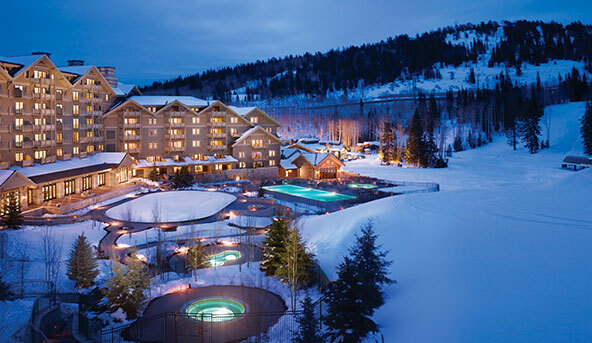 Deer Valley Resort revolutionized the ski industry in 1981 by being the first North American resort to provide the first-class service one would find at a five-star hotel. Nestled in the picturesque Wasatch Range, Deer Valley offers luxurious amenities such as uniformed ski valets, groomed-to-perfection slopes, limited lift ticket sales and gourmet dining in three elegant day lodges. With unparalleled accessibility, an award-winning ski school, and the bounty of 300 annual inches of powder snow backed up by state-of-the-art snowmaking, Deer Valley offers guests a complete vacation experience. Deer Valley Resort is consistently ranked #1 in the categories of guest service, dining, on-mountain food and mountain grooming by the readers of SKI Magazine. 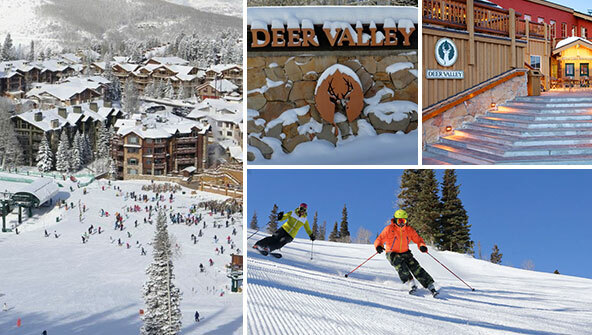 The "Deer Valley Differerence" means attention to every detail so you can concentrate on what's really important. Of the things that have changed in 35 years, the constant has been staying true to the resort's philosophy. President and General Manager Bob Wheaton (who's been employed at Deer Valley since it’s opening) says, "The bottom line at Deer Valley, since day one, has been a commitment to excellence in everything we do with the goal of exceeding guest expectations." While experiencing Deer Valley's 2,026 acres of alpine beauty, limited lift ticket sales, expertly groomed runs, gladed areas where the powder stays for days, 11 restaurants, three elegant day lodges, luxury accommodations and a renonwed Ski School and Children's Center it is easy to see why it is beloved by many for its quality of service and cuisine. The charm and solitude of Deer Valley's mountain setting are found just 36 miles from the Salt Lake City International Airport. A wide variety of transportation options are available to whisk you up the mountain via interstate highways. Montage Deer Valley, opened December 2010 in the year-round community of Park City, Utah, is one of North America's finest mountain resort destinations. Reminiscent of the great mountain lodges of the West, this refined Mountain Craftsman resort is less than five minutes from Park City's celebrated Main Street and an easy 40-minute drive from Salt Lake City International Airport (SLC). 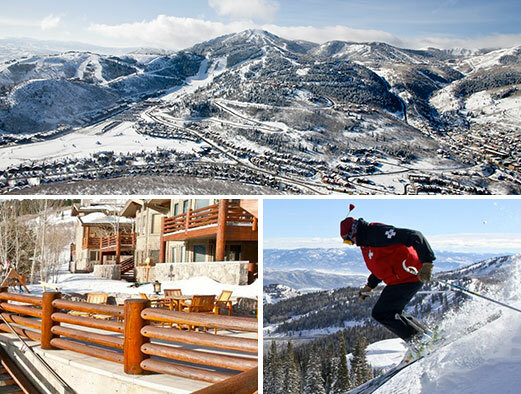 Montage Deer Valley promises a classic on-mountain getaway from all seasons. Resort guests enjoy a coveted location atop Empire Pass featuring true ski-in/ski-out access to North America's No. 1 ski resort (ranked by the readers of SKI Magazine 2008-2012). Montage ski and bike concierge staff receive, storage and prepare all ski and bike equipment, warm boots and arrange lift tickets and lessons, including private lessons from the Deer Valley Resort, so that guests and residents may simply concentrate on skiing from the three high speed lifts directly adjacent to the resort. Other outdoor winter recreational pursuits include snowshoeing, ice-skating, cross-country skiing, snowmobiling, bobsled course and sleigh rides. During spring, summer and fall, the resort's mountain terrain, forested valleys, scenic trails and area rivers are ideal for hiking, mountain biking, horseback riding, swimming, fly-fishing, kayaking, rafting and more. In addition, Park City's historic Main Street offers shopping, dining, cultural events and festivals - all just minutes from the resort. The property's 154 deluxe guestrooms and more than 66 suite and residences, ranging from one to four bedrooms, offer spacious accommodations with breathtaking alpine views. Guestrooms average 600 square feet and suites range from 1,000 to 3,200 square feet. Four distinctive dining venues include a mountain American grill (APEX), an intimate sushi restaurant (YAMA SUSHI), an authentic mountain great room (VISTA LOUNGE & TERRACE) featuring handcrafted cocktails, Asian-inspired small plates and desserts, and DALY'S PUB & REC, offering classic pub favorites in a fun environment highlighted by a nostalgic game arcade, Wii Lounge, billiards, English darts and a four-lane regulation bowling alley. Montage offers an array of activities for children ages 5-12 as part of its daily Paintbox children's club and can arrange a variety of unique experiences for guests and residents of all ages, including outdoor painting or nature photography sessions with area experts, guided hikes and mountain bike treks, species spotting with a naturalist, fly-fishing instruction and gourmet picnics. Spa Montage is a 35,000 square foot alpine sanctuary offering complimentary fitness classes and an extensive wellness center, indoor and outdoor swimming pools whirlpools and 29 treatment rooms. 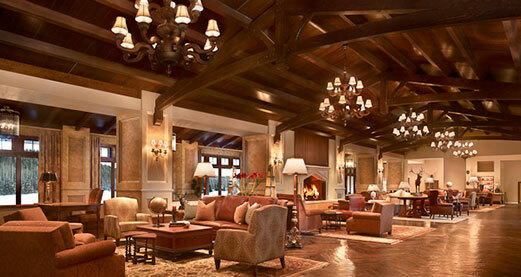 The Montage culture of artful experiences and highly personalized service is a hallmark of every visit at Montage Deer Valley, in addition to our Southern California beachfront resort, Montage Laguna Beach, and the urban oasis Montage Beverly Hills. Our gracious associates are available around the clock to fulfill every need. Silver Lake Accommodations was formed in 2009 to meet the needs of homeowners in the Silver Lake Village of Deer Valley Resort. Our goal is to provide a consistently high level of service and quality to our homeowners through a hands-on approach to management. By concentrating on a smaller geographical area we have customized our program to fit your needs. 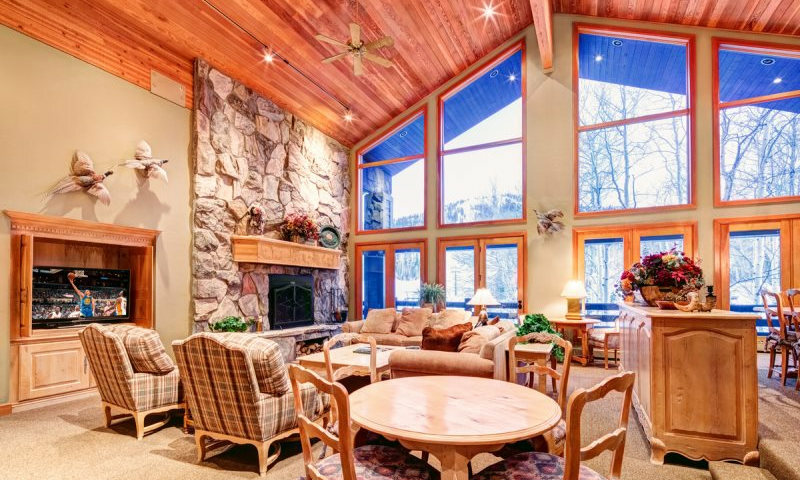 Our goal is to maintain a small high-end inventory of ski-in/ski-out rental properties in order to provide a personalized service level to owners and guests that is uncompromised by size. With an on-site location in the Silver Lake Village, we are able to provide you with the service and security you desire for your Deer Valley investment.